These days, it is almost impossible to find an automobile that does not come with some sort of passive restraint system in place. Motorists who own vehicles that have automatic seat-belts or driver-side and passenger-side air bags can receive a Passive Restraint Discount. Numerous automobiles come pre-packaged with some sort of passive restraint system, usually in the form of motorized seat-belts or airbags (which are usually installed on the assembly line). In the event of a serious accident, your passive restraint system will help protect you and any other passengers in your vehicle against serious injury. 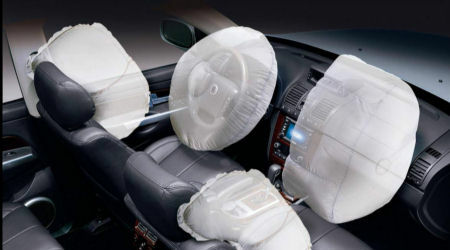 Air bags are designed to inflate on impact, preventing you from dangerously high impact levels. Once airbag construction in vehicles became widely popular, automobiles with automatic seatbelts started to go out of fashion. However, if your automobile was made before 1995, is still in good condition, and doesn’t have too many miles on it, your automatic seatbelts might get you a safety feature discount as well. If your automobile was built in 1995 or earlier, make sure its passive restraint system conforms to federal guidelines. This way, you won’t be missing out on important discounts for the Personal Injury Protection or Supplemental Medical Payments coverage areas of your auto insurance policy. Get a Passive Restraint Discount today and save on your car insurance policy!